Our rectangular table linen is the perfect way to transform a functional plastic or wood trestle table and creates instant impact. 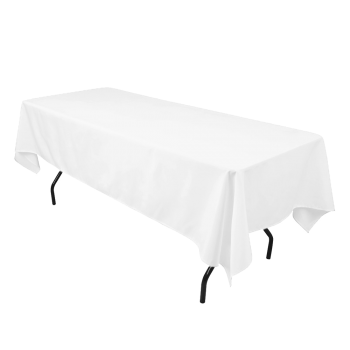 The linen comes in a variety of lengths and will drape beautifully over 4ft-8ft trestle tables. Choose table linen in a colour to match your event or add coloured napkins to white linen for an eye catching effect, professional crockery, glassware and cutlery to complete the look.